The Center for Creative Leadership has estimated that “failure” in senior leadership positions has increased in recent years. As the senior partner for a boutique career transition firm, working exclusively with senior executives, I have been a witness to a large number of executive exits. We assist in transitioning these same executives into new opportunities. From that vantage point, here are my observations as to what are the major contributors to a successful CEO hiring. 1. Clear alignment between the board and CEO on organizational strategies and tactic. Based on numerous meetings with exiting CEOs, I’ve heard multiple versions of the following: “The board said they wanted change, but pushed back as I started making changes.” In the abstract, general agreement that “change is needed” hides divergent views about the nature of the change. I’ve worked with many talented executives who left roles after a short time because what the Board of Directors said they valued (e.g. quick change) wasn’t really what they wanted, or they left out important caveats (e.g. change, but with few unhappy employees). A CEO may be in the position of finessing the strategy, but not the tactical elements needed to achieve it. Though it seems obvious, important elements of a CEO’s desired strategy and the tactics needed to support them aren’t always sufficiently detailed in the executive hiring process. Boards can get excited about a leader’s resume without fully understanding whether the executive’s views about strategic direction and leadership style are fully compatible with the board’s own view, and within the framework of the organization’s desired culture. A corollary of alignment between the board and the CEO is the need for the CEO to have a wide scope of authority to make autonomous decisions, within the broad boundaries of the board’s governance role. That is especially true when a CEO comes in to a situation where the previous CEO or founder remains as a corporate advisor or board member (or board chair). Starbuck’s CEO Howard Shultz’s vow not to hover over the decisions of his successor despite continuing to have a major role in the company, speaks to the potential tensions that come into play when there are two strong and sometimes competing voices in a single organization. Former CEO/founder “advisors” can continue to play a positive role in an organization so long as the incoming executive is aware of what that role will be before he or she takes the job. That should include not only a discussion between the CEO candidate and the board, but a direct discussion between the candidate and the advisor.” These discussions don’t necessarily have to happen early in the interview process and can even occur after an offer is made, so long as they happen before the offer is accepted. What becomes problematic is when an incoming executive takes a job and finds their predecessor playing a more active advisory role than expected. Advisors typically should be just that — a sounding board for the executive based on their knowledge of the company and its people, or in Schultz’s case, ascribed with a specific task within the organization under the ultimate direction of the new CEO. Another typical reason for the departure of CEOs stems from the lack of results. In a world of tough market competition and a focus on short-term profits, especially in public companies, CEOs often hear that they haven’t moved fast enough to get promised results. Conversely, some departing leaders hear they moved too quickly on change, upsetting an organization’s culture. Similar to the need for clear strategic and tactical alignments, CEOs and boards should have a meeting of the mind for what constitutes an appropriate timeline of change. Significant strategic change can take time, and sometimes patience is required to see it through. Conversely, some organization’s very survival may depend on rapid results. It is important for executives and boards to have a mutual understanding of appropriate time frames for a given situation during the hiring process. Then they should hold regular discussions regarding expectations surrounding changes that may occur because of evolving market conditions. 4. Honest discussions in the hiring process. To be fair, sometimes boards need to exercise their fiduciary duty to change leadership for a strategy or a person who just isn’t right for the organization’s needs. However, even when it is the right thing to do, pulling the plug relatively quickly on a new CEO has its financial and organizational costs, blunting organizational momentum and casting doubt, internally and externally, on the company’s prospects and the board’s ability to pick the right leader. Among other things, a new CEO’s termination usually suggests something has gone wrong in the hiring process. It is understandable that boards can get enthralled with high profile candidates, and in public companies that can engender a positive short-term market response. However, an effective hiring process also necessitates alignment on key strategic and tactical issues, as well as the general confidence the board has in the candidate’s judgement as new issues and market situations arise that may require adjustment in strategy. Candor in hiring discussions is paramount and is a two-way street. 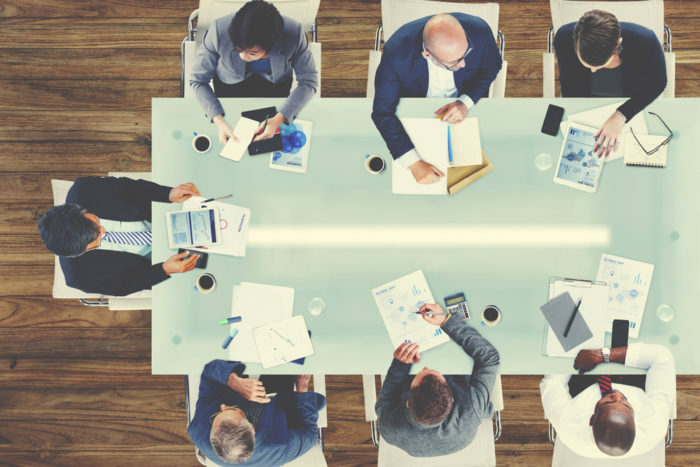 While board members must clearly define beliefs and expectations, CEO candidates need to be willing to push back on assumptions that seem unrealistic, even sometimes at the cost of getting the role. Howard Seidel, Ed.D., J.D., senior partner with Essex Partners, has over 20 years of experience as a career and executive coach, guiding hundreds of senior executives in all aspects of career development and change. Howard provides clients with an in-depth knowledge into the strategic and tactical elements of the transition process, along with a special expertise in advising senior executives exploring career change. Before joining Essex, Howard was vice president of Keystone Associates, where he consulted on career transitions with senior executives from leading organizations spanning a variety of industries, including financial services, biotechnology and life sciences, health care, and higher education. Prior, Howard served in several consulting roles at Electronic Data Systems (EDS) where he helped build the company's first external practice in change management, and provided executive coaching. He also led the company's development of a proprietary performance consulting methodology, spearheading the introduction of the system to the market. Additionally, Howard worked at Andersen Consulting (now Accenture) where he managed the development and delivery of a worldwide training architecture for a new business initiative. Howard has achieved widespread recognition for his insight on career matters, being interviewed by such national media outlets as the Wall Street Journal and Forbes.com. Howard holds a doctorate in education from Harvard University and a law degree from The George Washington University where he also received his BA.